The rare and unusual parts still exist! This quick read will allow you to discover one of the most rare parts ever manufactured by the Motor Company. As you can see in the pictures below, there are two Harley-Davidson factory original XA military model driveshafts in different lengths. If measured from center to center of U-Joint holes the 1942 shaft is 9 1/4” (23.5mm). So, the interesting question is, why is the second shaft 11 1/4” (28.56mm) exactly 2” longer? All stock 1942 driveshafts were 9 1/4” long. 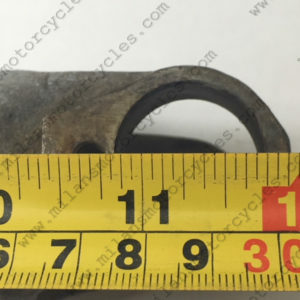 The answer is… in 1943 Harley made a handful of XA motorcycles with 5.5 gallon tanks and the engine with transmission were re-positioned forward, by two inches (5.08mm). As a result of this modification, the driveshaft and its cover had to be also extended by 2”. 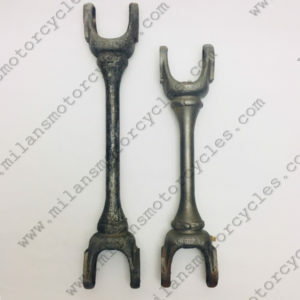 In the photograph, the longer +2” drive shaft, is an original H-D, not a reproduction. 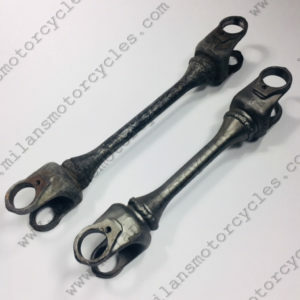 Another unusual difference is the standard production driveshafts in 1942 were cadmium plated, but due to the small amount of 1943 models ever made, driveshafts were not cadmium plated, but only sprayed with what seems to be aluminum or silver paint. Having literally made but a few of these models you can be assured there aren’t many 1943 XA extended driveshafts left in the world today. 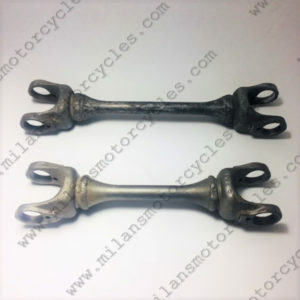 If you would like to learn more unusual facts and history about these amazing WWII liberators, or if you are looking to start a project of your own, contact us here http://milansmotorcycles.com/contact/. 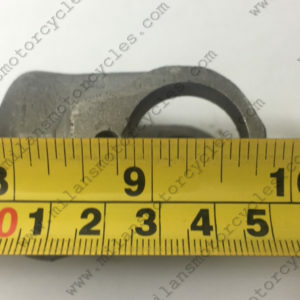 Our complete inventory has not yet been added to our website so if you don’t see what you are looking for here, let us know what you need and we will see if we have it in stock. We offer worldwide shipping, accept payment by PayPal or international wire transfer (more options available to Canadians) and process order/shipments within 2 days of receiving payment.